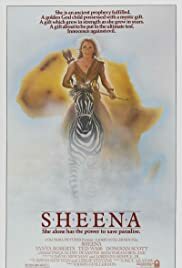 Sheena grew up in the African wild, raised by a mystical witch woman. When her foster mother is framed for a murder Sheena is forced to flee, helped by her ability to talk to animals and her knowledge of the jungle. Barbarians, Swords, Apocalypse, Space and Fantasy or "The Glorious 80s"
Sheena: See! See! Even in chains, we can defeat them! Turn your minds back, oh my people. Remember yourselves- a thousand, a thousand moons ago! Bring your bows! Chief Harumba- Attack! The feminine side of Tarzan. of epic proportions. Director John Guillermin kind of shoots himself in the foot. The material tries to be fashionable with it's comic-book origins that's based upon S.M. Eiger and Will Eisner's comic strip books "Sheena, Queen of the Jungle", but transcends into campy goofiness and lazy story-telling with an awkward sexual allurement. I don't know who this was aimed at. It pushes the boundaries of juvenile silliness that seems to be aimed at children, but its free flowing t&a (thankyou to a nekid Tanya) rules out that possibility. But how, this one has a family feel to it. The action set-pieces are often poorly staged and eye-boggling, with a rough around the edges quality coming through. Other than Roberts being pretty much eye-candy, the stunning Kenya locations managed to give the film a sense of place with Pasqualino De Santis' handsome widescreen photography being smoothly protracted. On the other side of the coin Richard Hartley's music score was relatively ham-fisted and out-of-place. 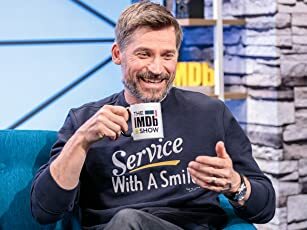 Even the script tackles many issues in a tacky, forced one-note mode that's quite rib-tickling or pain-staking depending on the mood of the viewer. The romance between Roberts and Wass is pitiful. Starring opposite of Roberts is Ted Wass, who's capably charming in his role. Donovan Scott is given free reign in the comic part. I don't think this film is that awful, as its made out to be, but it has quite a few bad elements that'll give it a hard time in trying to fight off that stinker tag. At least the laughs keep on coming. Unintentional or not, is the question?